In the last two articles in this series we looked at a multitude of underused genres, from both classic and modern eras. It turns out there are even more! In each genre, there are one or two huge examples of games, but barely any others (even including knock-offs). Let's revisit these genres and change that! These games have a unique combination of several mechanics that make them interesting. In addition to the round-based combat and tactics, you'll also often have a base to which you return between missions. In this base, equipment is assigned to your units, which are uniquely generated. The units also gain experience and skills over time, and tend to become very dear to you—which makes it all the more engaging when one of them dies, permanently. As there are only a few games in this genre, it is interesting to see how they are spread over settings, with little repetition inside each one. XCOM is set in a near-future sci-fi world. Invisible Inc deals with spycraft. The upcoming Hard West is a Western, of which there are also few games, which makes it doubly unique. In addition to shooting segments (or sneaking segments, as in Alpha Protocol or Escape From Butcher Bay), you get to talk to characters, often with quest lines, multiple paths, and options in the dialogue. The dialogue sections don't have to influence the action sections that much, but serve to embed the action in the larger game world. A game only about shooting and violence can feel detached after a while, but interacting with people in a regular, non-violent manner serves to connect you to the universe and creates a lot of variety. It underscores the feeling that these are actual people you are dealing with, not mindless space-zombies. A shooting-free segment also allows you to add other gameplay elements, such as tasks that can be solved via discussion, and allow the player to explore the world safely. Apart from the occasional tie-in, like the Who Wants to be a Millionaire games, You Don't Know Jack is the only major quiz game out there. You Don't Know Jack accomplishes this by being ridiculously funny from beginning to end. The announcer (Cookie Masterson is the most well known, but there are others) is the heart of the game, bringing life and humour to each question. The questions themselves are also uniquely crafted. Imagine a bunch of Merrill Lynch bankers snacking on bailout money while bilking their customers. Because it does NOT have ridges, which coin might break while scooping up some creamy French Onion dip? These are much more engaging than the basic "Which one of these is the biggest?" questions, and much more fun. Other mechanics make this an ideal party-game. Four players can play simultaneously on a single computer or console. Players can also "screw" somebody with a question, meaning the other person has to answer. This can be used to avoid difficult questions, as well as to give other players a hard time. There are also other mechanics than simply "answer this". A fun type of challenge orders you to say whether 30 rapidly-named characters are from either Star Trek or Star Wars, which is great fun. Phyta is one of my favourite games. It has been created a long time ago by a dev who never made another game again, which only adds to its uniqueness. In Phyta you control a plant. It grows slowly towards the mouse-cursor, while relaxing guitar music plays in the background. From time to time, you encounter flying sprites, which you can trap in the plant. There is no score or other "game-y" artifacts outside what goes on in the game. You just are, and it is incredibly relaxing. Another recent meditative game is Mountain. It, too, presents itself without any game-y elements. There is only a mountain—your mountain, which is unique—and its continuing presence and evolution. Over time, the seasons change and the mountain collects various amounts of detritus in a display that simply is. You could argue that these games are the inventory management mechanics of old point-and-click games boiled down to their essence—because in these games, you combine everything with everything. The Doodle God games start out with the four basic elements, which you can combine. Combine Fire and Water and you get Steam. Combine Earth and Fire and you get Lava. Continue this, and you end up with more than 100 new objects. At the beginning, where only few options are available, wanton experimentation is encouraged, and fun. Combine everything with everything, and you get quick results. Over time, though, the number of possible combinations becomes too large, and you must put more thought into it. Little Inferno works similarly. Your game consists of a fireplace, where you can insert toys and set them on fire. Certain toys produce special effects, such as green fire. The game gives you a list with combos, which you have to solve. For instance, you are given the clue "Springtime", and have to figure out that it requires a Seed Packet and an Alarm Clock. Each combo is essentially a riddle, only solved with the correct combination of burnt items. I struggled to name this type of game, as there are so few entries. Another good name would be "mass strategy". Dyson (now Eufloria) was one of the first to do this type of unit-management. These games centre around circular hotspots. In Eufloria and Galcon Fusion, these represent planets; in Oil Rush, they are oil derricks. You command units, like in a strategy game, but you order them en masse, from hotspot to hotspot. In this way, it streamlines the classic Real-Time Strategy genre. In Eufloria you select a planet, and can decide how many of your seedlings to send to another planet, where they will fight other players or seed the planet. Once captured, the planet produces more units. In terms of strategy, these are often numbers games. How many units will it take to take over that planet? I can pull several dozen from a further planet, but it will take them time to arrive nearby. Once then have arrived, I can then launch all units at once. Surprise enemy attacks create moments of panic, where you have to abandon your plans, figure out where the enemies are headed, and then try to get a big enough defence ready before they take away one of your (possibly highly important) planets. These games take a utilitarian view. In Naval War, you command from afar, sending single ships and planes. The interface is purposefully minimalistic, mimicking the view you would conceivably get in the combat information centre of a battleship. Your funds and units during each mission are severely limited, and you can only operate within the rules of engagement, which are set for every mission. In Combat Mission Shock Force, each mission is asymmetric, with each faction having different objectives. When playing as NATO forces, you have to occupy certain points; when playing the same mission as the other side, you have to try to survive, and not lose more than a certain percentage of your units. A wonderful feature is "unit visiblity". This means that, just because one of your foot soldiers can see where an enemy is located, it does not mean that every one of your other units automatically knows where they are. The location has to be communicated between them, adding another layer to the battle and organization. Setting a game in a bloodsport is fun, as it allows you to go nuts. Tired of all-brown shooters? You can make everything insanely colorful! Just look at Monday Night Combat, which is predominantly orange. You can also have other sports-like tropes, like announcers, cheerleaders, or sponsorships. Managing teams and players adds more fun elements. Unreal Tournament already predated this by having arenas set it all different kinds of environments. While there were sci-fi levels, there were also grungy streets, Egyptian environments, medieval scenery, and feudal Japanese architecture. Firefighting games are so few and far between that each one differs a lot from all the others. Jones On Fire has you run through a burning forest, endless runner style, while trying to save kittens. Firefighters 2014 is a more serious simulation. You have to direct firefighters and trucks to the optimal positions. Each fire needs a fitting response, as there are many kinds. Making a game in a rare genre can give you a unique niche to explore. If the genre's only other games are successes, there a clear demand without saturation. Take this chance! 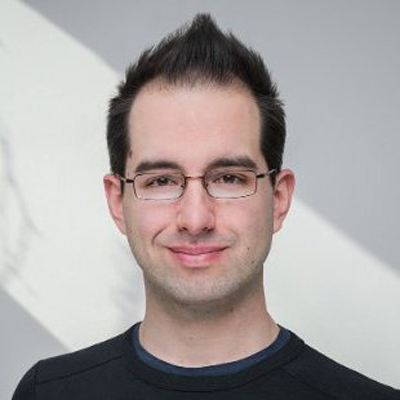 Matthias Zarzecki is an Unity-Award nominated Indie Designer and Software Engineer. His games can be found on iOS, Android, OUYA and the GameStick. He is on Twitter as @IcarusTyler, and his website is matthewongamedesign.com.